Rodrigo Barreto has been involved with the music industry for over 15 years. Between 1996 and 2000 he produced events within the state of Rio de Janeiro. 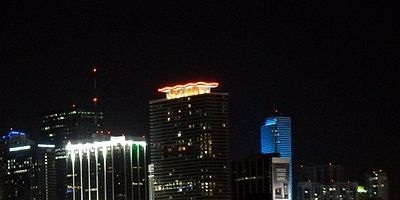 However, it was in the year 2000, when he moved to Miami, FL, U.S.A., that started his passion for electronic music and his career as a DJ really started to flourish. 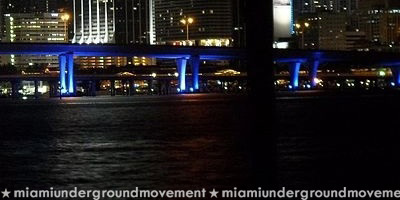 A Brazilian naturalized American citizen in 2001, Rod became involved in Miami's underground scene, playing in small clubs and private parties. In 2007, Rod searched for more knowledge and explored new horizons by attending and graduating with a degree in Audio Technology (Recording Arts) from one of the largest and most respected colleges of the audio world, SAE Miami, also affiliated with The Recording Academy/ Grammy USA. This significant accomplishment acknowledged Rodrigo's abilities as a producer and audio engineer. Each year between 2007 to 2009, Rod was specially invited to work in the production of WMC (Winter Music Conference) and Annual International Dance Music Awards (IDMW); the largest conference in the world of electronic music. Rod has performed in clubs and parties located in Miami, Ibiza, South Beach, New York, Puerto Rico, and Rio de Janeiro; and big festivals like Creamfields in Brazil, Rio Music Conference, Chemical Fest, XXXpirence, Green Valley & Ultra Music Festival Miami. He has performed with big names of the international scene as Deadmau5, FatBoy Slim, Above & Beyond, Sander Kleinenberg, Layo & Bushuwaka, Laidback Luke, Jon Rundell, Carlos Lio, Steve Mulder, Anderson Noise, Eelke Kleijn, Dimitri Nakov, Dave Dk, Gui Boratto and others. Currently, Rodrigo Barreto creates new productions in his studio along with Dj and Producer Re Dupre. 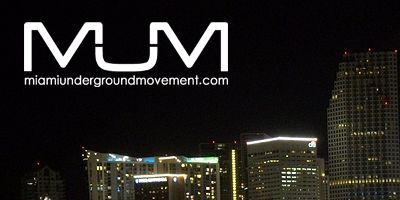 Together this partnership coordinates MUR Music(Miami Underground Records), which is supported by various artists. In 2010 he was invited to sign with Global Underground in the GU -38 –Black Rock Desert Compilation mixed by Carl Cox.One of the most respect labels and compilation.Staying 5 weeks in the roll in the top sales of Techno Charts and the most sold track in the GU Compilation. After that his name was chosen to be on the Fantastic Four (the four hottest name in Dance Music) of February edition of The DJ Mag the most respect Magazine of E-Music. Rod's music can be found at the top of the charts of Beatport, in the playlist and compilations of the biggest Dj's in the planet like Carl Cox, Eddie Halliwel, and Dubfire, among others. 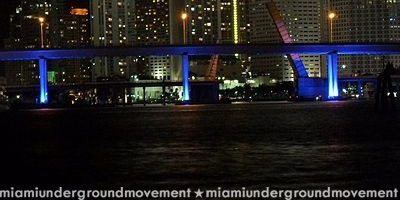 Rod coordinates the Miami Underground Movement website direct from Miami with exclusive sets of Global Dj's such as Richie Hawtin, Magda, Umek, James Talk, Christian Smith and others. He performs on 2 weekly radio shows in his native land Brazil; Miami Sessions (his radio show brand) and UMF Brazil and UMF Ibiza-Ultra Music Festival Radio Show.